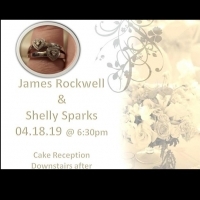 Please join us for the vows of James Rockwell and Shelly Sparks! Celebrating relationships is one of the greatest things we as Christians get to do. And with cake too!